Well it's been a while since I last did a blog about the progress of Kalimar's Amazon team. It took a while to gather all the bits and I've been busy at work so progress has been slower than I'd have liked. But the 16 strong team is now all built, most of them still need to have gaps filled and extra details added but the hardest part is out the way. I had undecorated the 1st 4 linemen I completed ready to paint but the white paint showed up some imperfections so they still need a little tweaking before I am happy enough to start painting. The other linemen are nearly done, with a few more details needed to make them look a little more savage. I've added loin cloths to both throwers and given them shoulder pads. They both have the same sort of headdress and loin cloth so that should help differentiate between them and the linemen. I really disliked how similar the GW Blitzers are to the rest of the team so wanted mine to stand out and be more dynamic. 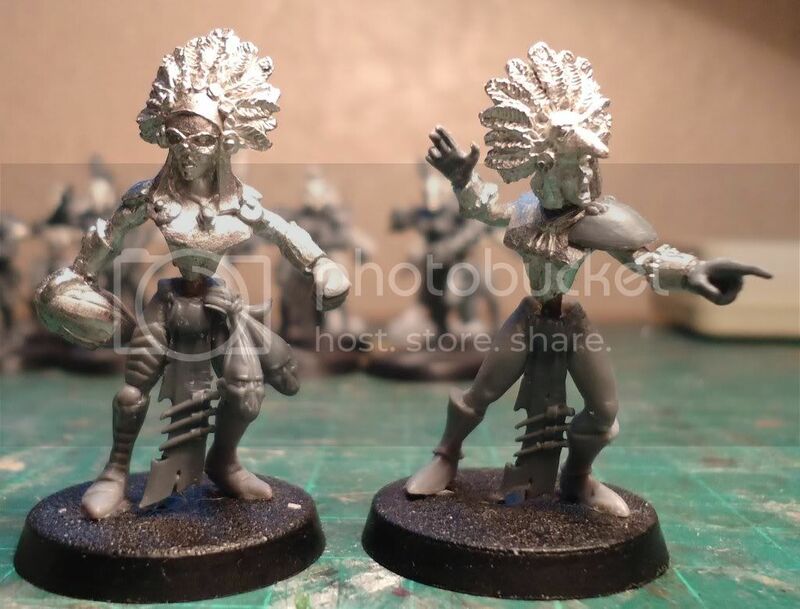 They are made almost exclusively from Dark Eldar bits, but the masks are from some necromunda redemptionists and a flaggellant. 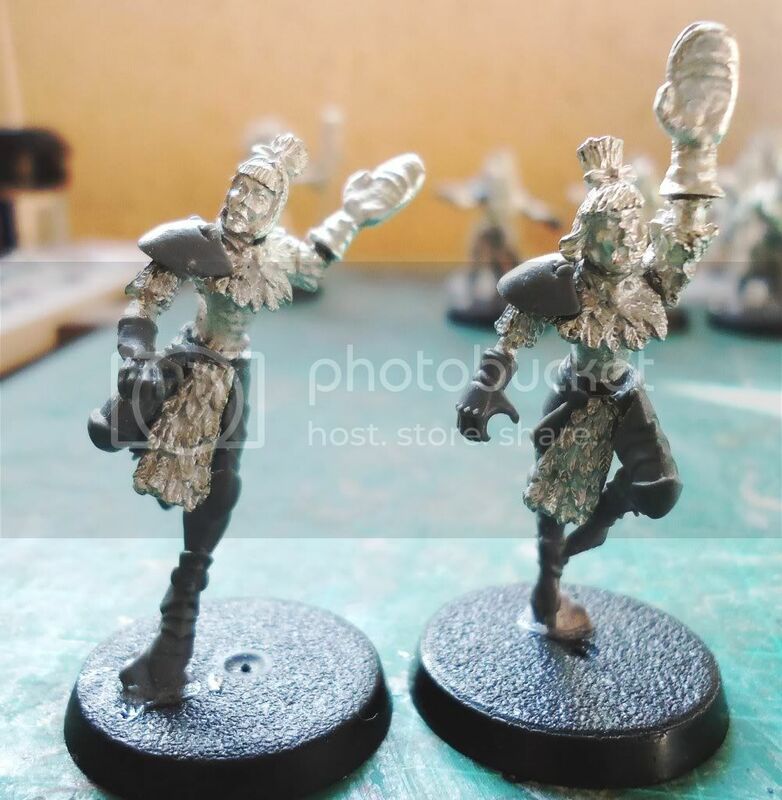 The catchers are my favourite players particularly the one on the right, I gave them the feathered bodies and am using the catchers mitts from impact with the legs from the DE scourges. So as they are almost ready to paint I now need to think of colour schemes. Was considering matching them to the site's web page with Green, white and some red maybe? That'd be a most appropriate color scheme... and would work well in balance with their flesh tones. General question... you prefer white basing? I've heard that gray or tan can provide some nice results too... how much do you think it really matters? Looking very good. The only one I dislike is the horned linewoman. Maybe a single smaller unicorn horn on the front?